Good morning readers. We hope you had a restful and relaxing weekend, hopefully with a few healthcare news-free hours. Over at TWTW headquarters, we’ve got Elastigirl-envy because the constant barrage of breaking health stories had us stretched thin. With all of the approvals, price tweets, guidances and policy talk, we started thinking we needed super-human powers to keep up with the incredible volume of news. See where this is going? No, this is not #sponsored content from Disney’s Pixar. It’s merely an Incredibles-themed TWTW! Because sometimes you need a little extra power to get through a crazy week where things Just. Kept. Happening. Just like old times, huh Bob? While most of Britain is busy Brexiting, politicians are fighting to stay close to the EMA. This week, the U.K. Parliament voted 305 to 301 in favor of an amendment that the U.K. government will “take all necessary steps” to achieve a trade deal in which they can still “fully participate” in the EMA. Yeah, um no. A South Dakota court booted Initiated Measure 26, the statewide drug price cap initiative, from the state’s 2018 midterm ballot. The judge’s ruling came after it was revealed that some of the signatures used to get the initiative on the ballot were invalid. The complaint was filed by a group with ties to South Dakota’s BIO affiliate. Hey, can you UN-do it? This week, an appeals court ruled against U.S. hospitals in their attempt to reverse the Administration’s changes to the 340B program. Hospitals (represented in court by the American Hospital Association, America’s Essential Hospitals, and the Association of American Medical Colleges) stand to lose $1.6 billion from cuts to federal funding through the program. Un-safe harbor? The Office of Management and Budget got a little mail from the HHS on Wednesday night. In it, a proposed rule to remove the safe harbor protection for PBM rebates under the anti-kickback law, signaling the first concrete actions from POTUS’ Blueprint. Because I'm Mr. Incredible! Not "Mr. So-So" or "Mr. Mediocre Guy"! Mr. Incredible! We’re starting to think this is Scott Gottlieb’s morning mantra. In an incredibly busy week, Gottlieb and the team over at the FDA: posted 43 guidances on developing generics (including 3 focused on ADF opioids), issued a response to Bayer’s decision to halt Essure sales, announced a new task force on the appropriate use of drug importation and previewed a new Biosimilars Action Plan. Not sure what to think about the FDA’s pace? Our own Reputation & Risk Management consultant and former FDA Associate Commissioner Peter Pitts shares his perspective. Consider yourself UNDERMINED. Market access for orphan drugs is only becoming more complex, as payers establish a myriad of coverage and reimbursement obstacles for patients prescribed these costly therapies. 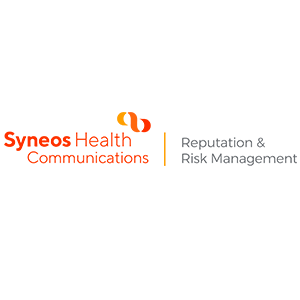 Our own Meg Alexander and Syneos Health Consulting’s Susan Suponcic examine the latest trends and how companies can mitigate some of these market access risks during clinical development. We hope that speed round helped you wrap your head around the week. Stick with us as we get laser-focused on a few stories. Following Trump’s Twitter scrutiny of Pfizer last week – and the company’s subsequent decision to freeze price increases – two more drug makers have followed suit. On Wednesday, Novartis announced it will refrain from drug price increases for the remainder of 2018. Then Thursday afternoon, Merck issued a press release during market hours citing its Pricing Action Transparency report and news that it will lower the price of its Hep C drug Zepatir and several others medicines in its portfolio. The news was met with extensive media coverage, victorious tweets from Trump and Azar, and a statement from AHIP applauding the recent voluntary activity by manufacturers to bring down drug prices. Seems like the White House is leveraging any positive movement on drug pricing (a fave populist issue) following a week of less-than-stellar coverage. This includes last week’s news that Novartis, Gilead, Roche and Novo Nordisk announced that they would rescind or reduce previously announced price increases on at least 10 drugs. The move was a result of new California state legislation – currently being challenged by PhRMA – mandating manufacturers provide insurers, governments and drug purchasers at least 60 days’ notice of price increases greater than 16% during a two-year period. While these developments are mostly symbolic “wins” for the Administration, they have the industry discussing list prices rather than focusing on traditional defenses of pricing and value. Furthermore, while Azar and others point to this as the “Blueprint in action,” it’s worth noting that no company has made guarantees past December, and the issue of pricing at launch has not been addressed. Whether this is a sustained change won’t be known until Congress takes action, or the calendar turns to 2019, whichever happens first. But in that alternate reality, where would we see the biggest impact to revenue from “voluntary” price cuts? Many are speculating that PBMs would actually be hit hardest. While Trump may continue to come down hard on pharma, this week’s news will likely alleviate some of the political pressure on drug makers for the next several months. That will give Congress a chance to enact parts of the Blueprint – including measures to minimize the role of rebates to third parties like PBMs (see above re: OMB). Any company awaiting an FDA approval or approaching major data milestone needs to be prepared to clearly communicate its approach to pricing beyond the list price of the therapy in question. This includes being prepared for questions about future pricing decisions, including potential price increases. And now more than ever, it is critical to communicate about costs incurred by the patient, given limited lay public understanding of net versus list price. In a speech that pulled no punches, FDA Commissioner Scott Gottlieb on Wednesday previewed a new “Biosimilars Action Plan" the Administration’s 11-step plan to stimulate the biosimilars market. Gottlieb described current biosimilar competition in the US as “mostly anemic.” Building a better biosimilars market, he mused, is critical for improving patient access to care, reducing health care costs and advancing public health. Gottlieb also took direct aim at drug manufacturers for rebate schemes, “patent thickets” and long-dated contracts, all which he dubbed “toxic” tactics that deter the entry of biosimilars into the U.S. market. This official action plan follows past FDA remarks and initiatives on biosimilars. In fact, some of the 11 steps are already underway, such as providing clarity for product developers on demonstrating interchangeability. Similarly, some of the “unacceptable” tactics Gottlieb mentioned, like intellectual property disputes or rebate agreements with other parties in the supply chain, are not policed by the FDA. Such activities are actually within the purview of the FTC and Department of Justice. But the specific 11 steps aren’t necessarily the key takeaway here. Gottlieb said that if Americans could have purchased successfully marketed, FDA-approved biosimilar prescription drugs in 2017, they could have saved more than $4.5 billion. This plan outlines efforts that will introduce competition and spike biosimilar development, all in an effort to support the Administration’s goal of lowering drug costs. What this pressure might look like in the form of policy is difficult to predict, given the complexities associated with regulating biosimilars interchangeability. At the forefront of that regulation is a pending bipartisan bill, the CREATES Act, which would allow biosimilar makers to sue for the drug samples necessary for developing generic versions. The bill would also create incentives for physicians to prescribe biosimilars (incentives that already exist for generic drugs) and give the FDA more leeway to approve alternative safety protocols if a branded pharma company tries to block a biosimilar. Regardless of potential policy advancements, we expect the pressure on biologic manufacturers is here to stay. They are increasingly exposed to the same scrutiny as other drug manufacturers – blame and shame Congressional hearings, getting called out on Twitter, and, as is the case here, public criticism by Commissioner Gottlieb himself. Recognizing that criticism is part of a broader effort to enact change on drug pricing, biologic manufacturers should expect scrutiny to continue and prepare for challenging questions. If you’ve made it this far, you are truly incredible. Thanks for reading and we’ll see you next week. P.S. If you couldn’t tell, we strongly recommend seeing the Incredibles 2.